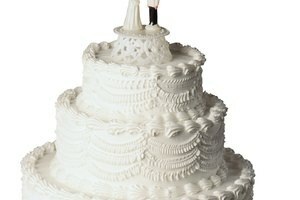 How Long Will Cake Sculpture Decorations Last? A cake sculpture is basically a cake made into about any shape you can think of. With the popularity of TV programs like "Ace of Cakes," creating cake sculptures has become a true art form. These sculptures are created by cutting and shaping cakes and covering them with a mixture of butter cream icing, gum paste (or fondant) and edible sugar sculptures. Butter cream icing is a sweet confection made from butter, confectioner's sugar and a flavoring (vanilla, almond, lemon, etc). This is the most popular icing choice for decorators and sculptors. Even though it contains butter, this icing does not need to be stored in the refrigerator once on the cake (cakes stored in the refrigerator tend to dry out more quickly). 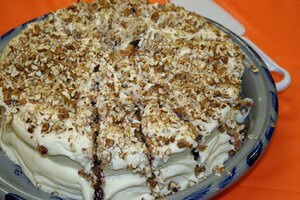 It is best to eat cakes with butter cream icing within a couple of days, but it will be good up to five days. Gum paste, also called fondant, is sugary dough that is strong enough to be rolled with a rolling pin, but pliable enough to shape onto a cake, or sculpted. Fondant can be bought ready-made in buckets from 2 to 20 pounds. This ready-made fondant can be kept for up to a year in an airtight container. Once the fondant is on a cake or sculpted into decorations, it will harden. After three days to a week it will still look beautiful, but may be less than pleasing to the palate. 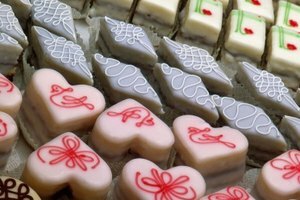 Fondant can also be made from scratch by curing marshmallows. This type of fondant has a much shorter shelf life and can be more difficult to work with. Since the texture of fondant is so important, it should be used within a couple of days, and definitely within the week. Once the sculptures are made, their shape will remain consistent for weeks, but they should be eaten within days. Edible sugar decorations are made from sugar, water and meringue powder (a white pasteurized egg product that is used instead of eggs, but poses no food-borne illness dangers). Sugar sculptures can be tinted any color and formed into any shape. These sculptures are made and then added to a cake for detail. They can last anywhere from six months to years. Do not refrigerate a sugar sculpture, as it can crack when cooled. The storage of a cake sculpture can be tricky. 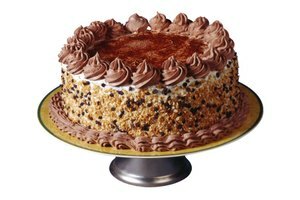 Most cakes, especially those that contain fillings, need to be refrigerated for freshest taste and to keep well. 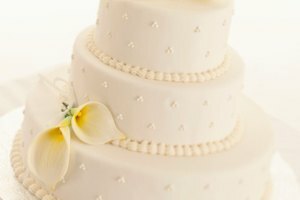 Cakes with fondant should not be stored in the refrigerator. Putting it in the refrigerator is not the issue; bringing it back to room temperature in order to show and serve is. As the cold cake warms, condensation can form on the fondant, creating a sweaty, sticky and less than appetizing cake. Make cake sculptures no more than two days in advance. They can remain unrefrigerated for this time, and your creation will receive the appropriate oohs and aahs. Once the cake is served, any leftovers may be refrigerated. They will likely taste better than they look.